I just wanted to let you know how much we enjoyed our time at Valley View Cottage. You indeed have million dollar views, especially from the top of the hill. After the wedding, we had time to drive around the area, and in my opinion you have one of the best locations and situations in all of the Hunter Valley. Actually, that was the consensus of the entire group and they insisted that I write you to thank you and express their pleasure with the property. Hopefully we will be able to do it again in the future. A huge thank you Robyn and Alan! We had the best weekend and your place is just gorgeous, are you open to offers!!!. Everyone had a great time and we will definitely be back. Thank you for our lovely stay at Valley View. What a wonderful setting and great views and lots of interesting plants and ornaments which we appreciated. Loved the fire and only used the reverse-cycle once during our stay (this morning). Anyway it is one of the best short breaks I have ever had so thank you. I would just love to say that your property is absolutely beautiful and it was lovely waking up each morning to that beautiful sunrise over the mountains. We are hoping to stay at your property again same time next year. Just letting you know how wonderful Valley View Cottage was during our stay at Hunter Valley. You really do have the best view in the Hunter Valley. We couldn't believe how much space we had to ourselves. The fireplace inside the house was fantastic and the gazebo allowed us to drink wine and nibble on cheese under the stars. We were equipped with everything that we needed to make our stay pleasurable and comfortable. Again, I thank you for your hospitality and assistance before and during our stay in your property. 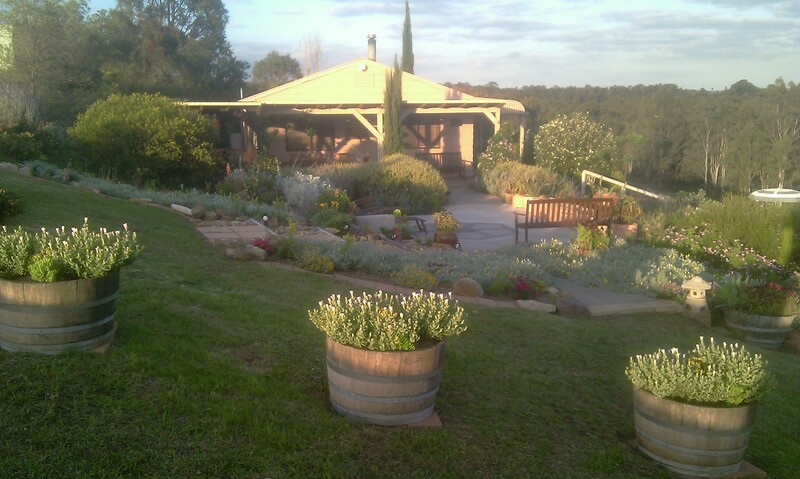 I would definitely recommend Valley View Cottages to anyone who wants to experience Hunter Valley.